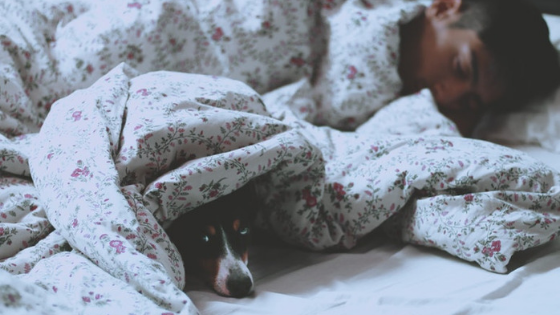 A good night’s rest can make all the difference in how you feel during the day, but according to the CDC, more than a third of Americans are not getting enough Z’s. If you count yourself among the sleep deprived, try these three natural ways to fall asleep faster and have a more restful sleep without resorting to medication. It is all about the light. Everyone knows it is difficult to sleep with the lights on, but did you know light exposure throughout the day can affect your sleep quality at night? Your mother may have been onto something when she suggested you get outside and enjoy the fresh air and sunshine. Studies show that at least two hours of sunlight each day can significantly improve how fast you can drift off and how long you are able to remain asleep. Watch what you eat and drink before bedtime. You already know you shouldn’t drink beverages containing caffeine in the evening, but also avoid a nightcap before turning in for the evening. Alcohol may make it easier to drift off to sleep but can decrease the quality of your sleep by increasing snoring, sleep apnea and messing around with your body’s natural circadian rhythm. Late-night snacks are a no-no, but a high-carb meal four hours before bed is can offer a deeper, more restful sleep. Chill out figuratively and literally before going to bed. An hour before bedtime turn off your TV and say goodnight to your computer. Avoid your smartphone and instead pick up a book, listen to relaxing music, or practice a few deep breathing exercises. Screens emit blue light which has been shown to disrupt sleep patterns. It is also a smart idea to turn down the temperature in your bedroom 5 to 10 degrees. Not only will you save money, but colder temperatures improve sleep quality. Find your perfect sleep at your ideal apartment. If you are looking for apartments in Plano, TX, you owe it to yourself to check out Creekside at Legacy Apartments. Creekside at Legacy offers resort-like amenities in a relaxing setting within a short commute to Dallas. Please call 866-486-4668 to arrange a showing of available units.